There’s no question that construction technology has changed the way we work on the jobsite and in the office. Thanks to the multitude of software options on the market, we’re building complex projects more efficiently and with fewer errors than ever before. There is one thing that technology will never replace however – people. Skilled builders and project managers will always be necessary to successfully construct buildings, bridges and roads. After all, your laptop can’t swing a hammer! It’s also important to recognize that technology can’t replace people when it comes to responsible decision-making and accountability. When you have these essential attributes built into the fabric of your workforce, your team becomes more reliable, efficient and successful. The importance of people in combination with technology is best represented when reviewing the different tool tracking solutions out there. Before deciding which one is right for your business, let’s take a look at the available options and see why systems that rely on the responsibility of your employees along with technology might be more effective than relying on technology alone. Tool tracking solutions come in a few varieties – beacons that rely on Bluetooth® and GPS technology or accountability-based solutions. Tool-tracking beacons – This kind of tracker is exclusively a hardware solution that relies on a physical beacon attached to every single tool in your inventory. Tool tracking beacons are designed to transmit a signal that can be used to locate an item. Bluetooth beacons transmit the signal through the short-range Bluetooth communication capabilities of your phone or tablet. GPS beacons are a little different than Bluetooth beacons in that they transmit a signal directly to a telecom network and therefore do not need a phone to be in range in order to transmit. One thing neither of these options do however, is create a process that employees should follow for successfully managing tools. This distinction is key. Accountability-based solutions – Rather than relying exclusively on a hardware solution and costly data network to monitor tool whereabouts, many contractors are starting to use an App based on a simple, but proven idea. The idea is to build a culture of responsibility so that field workers take ownership for keeping track of tools. By encouraging the field to be more responsible for theses items, the company can reduce tool loss and wasted time without putting an expensive beacon on every piece of equipment. With an accountability-based solution, you’re improving an entire process within your business. This works because applications that track tools based on “responsibility,” don’t rely on a hardware beacon, but instead rely on a person-to-person workflow. The App helps a company enforce a “transfer” and “acceptance” of responsibility between workers as tools move from person to person. This is a worker-centric model built on changing behavior rather than a hardware centric model. Giving employees an opportunity to be more responsible and accountable is not unique only to tool sharing. It crosses all aspects of successful employee management. In an article published in ForConstructionPros.com, the author writes, “Leading your company is not about being in charge and in-control of every aspect of the operation. It’s about getting results through people.” He continues, “Excellent managers encourage employees to take on more responsibility…” That’s really the key. Creating this culture of responsibility across all aspects of your business – including tool management – is truly the path to a dedicated and empowered team. Without having “ownership” in the day-to-day processes, employees are less apt to feel like an important part of the success of the company. Think of it this way. Technology that actually helps build a culture of responsibility creates an environment of employees who are encouraged (and required) to do the right thing. It instills the important notion that people are ultimately responsible for the tools they use, and the app itself maintains a record of that responsibility. 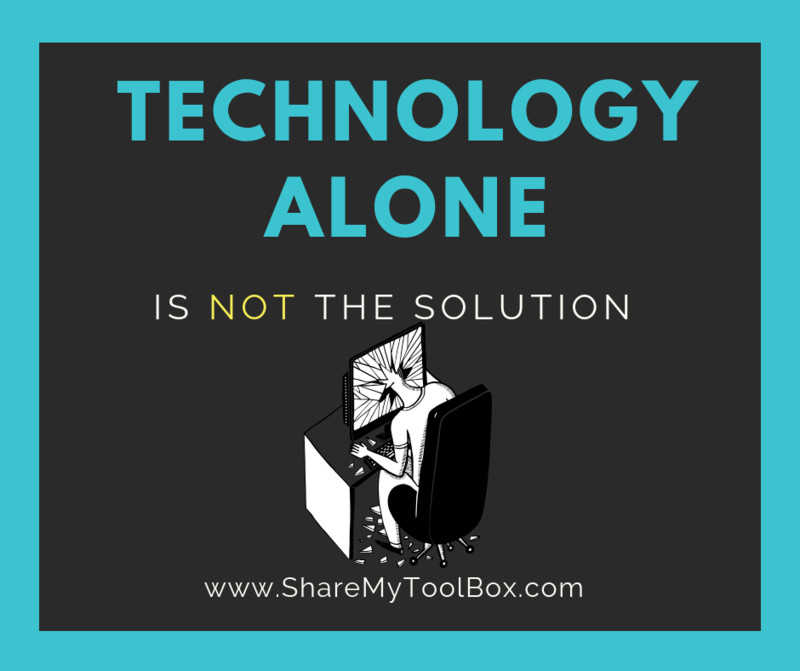 Consider an application like ShareMyToolbox. This peer-to-peer solution managed in the Cloud creates a “catalog” of tools and assigns the asset (the tool) to an employee who “accepts” it in the App. His/her responsibility for the tool is easy for everyone to see and once the tool is returned to the warehouse, the name of the borrower is removed as the responsible party. Any transfer of the tool to another employee is tracked by the employee transferring responsibility, along with the tool, from person-to-person. That’s effective tracking which partners accountability with a digital record. Is there a place for GPS & Bluetooth beacons? Certainly! Hardware beacons can supplement a responsibility based tool system. They can provide additional information on tool use and movement and perhaps even allow a tool to be recovered in the event of theft. However, they are only valuable as a part of a process that establishes responsibility first and then extends hardware tracking on some key items. The bottom line is that no Bluetooth beacon or GPS system can stop theft and no technology can replace accountability, responsibility and trust. Technology alone will never create a sense of loyalty from your employees or establish honesty as a pillar of your company. It’s about people taking ownership. By giving employees the power to “sign out and responsibly transfer or return the tool, you’re building up a team of reliable and trustworthy people that not only respect the property of the organization, but feel connected to the company goals or objectives that you’ve established for the business. Learn more about ShareMyToolbox at ShareMyToolbox.com or contact us at info@sharemytoolbox.com and 866.768.8665. 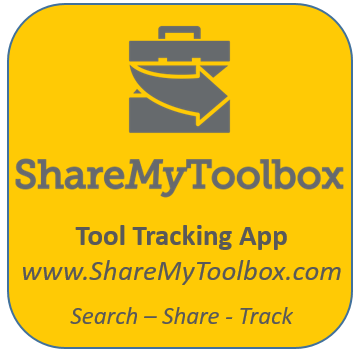 Additional articles about tool tracking can be found at www.ShareMyToolbox.com/Tool-Tracking-Tips as well as more about modern tool tracking here. Also you can find numerous articles on contractor profiles of tool tracking success on our website. Tool theft has robbed contractors of profitability for decades. Can new tag, GPS & RFID technology eliminate tool theft on the modern construction site? We say NO! A solution requires more than just tool tracking technology.